LP HIGHLIGHTED BY WORLDWIDE #1 HIT SINGLE, "HOLD MY HAND"
WILL ALSO FEATURE "AIN'T GOT FAR TO GO" WHICH FANS CAN WATCH AN EXCLUSIVE STRIPPED DOWN PERFORMANCE STREAMING EXCLUSIVELY ON THEFADER.COM! Jess Glynne has announced details of her massively anticipated debut album. "I CRY WHEN I LAUGH" -- the GRAMMY® Award-winning, UK-based singer/songwriter's first full-length solo release -- arrives everywhere on September 11th via Atlantic Records and will celebrate its release on her first-ever North American headline tour beginning September 14th at Washington, DC's U Street Music Hall (see below itinerary) and www.jessglynne.co.uk. "I CRY WHEN I LAUGH" features the worldwide hit, "Hold My Hand," which debuted at #1 on the UK Singles Chart upon release and held the top spot for three consecutive weeks. The video (LINK) directed by Emil Nava (Ed Sheeran, Jessie J, Calvin Harris) boasts over 30 million individual views. Already a top 20 hit on Billboard's "Dance/Electronic Songs" chart, "Hold My Hand" is now blowing up in the US where it has already surpassed more than 1 million streams per week. Album also features "Aint Got Far To Go" which "proves she's here to stay" and in the acoustic version (LINK) demonstrates her "soulful side" cosigns The FADER who premiered the video earlier today. On top of earning a Billboard's "Hot 100" Top ten for her 2x RIAA platinum single "Rather Be," Glynne has since scored a further string of UK hit singles, including Route 94's chart-topping "My Love (Feat. 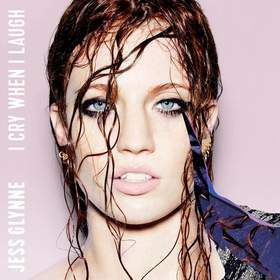 Jess Glynne)," Clean Bandit & Jess Glynne's "Real Love," and her own top 10 solo debut, "Right Here." She most recently teamed with British rap superstar Tinie Tempah for his new single, "Not Letting Go (Feat. Jess Glynne)": https://youtu.be/nsDwItoNlLc.